Home » Posts Tagged "Prostate"
The second leading cause of cancer death among men is cancer of the prostate gland. It is primarily a disease of aging. Men in their thirties and forties rarely develop prostate cancer, but it increases steadily after the age of fifty. Approximately 80 percent of all cases occur in men over the age of sixty-five, and by the ages of eighty, 80 percent of all men have prostate cancer to some degree. 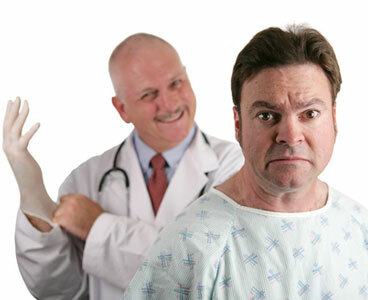 Every man will eventually develop prostate cancer, many experts say, if he lives long enough. For the past several years, prostate cancer deaths have been declining. The prostate, a walnut sized gland at the base of the bladder that encircles the urethra, is the tube through which urine is voided. The prostatic fluid, which makes up the bulk of the male ejaculate and nourishes and transports the sperm is produced by the prostate.